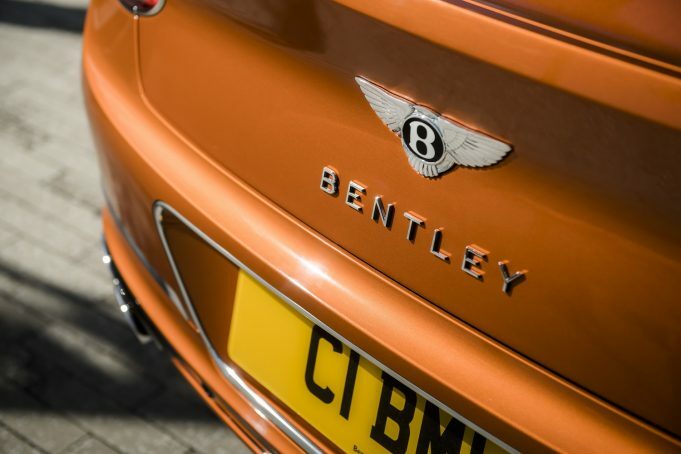 TWO new versions of the third generation Bentley Continental are set to hit the market, following confirmation a 404kW twin-turbocharged V8 version of the GT and its convertible sibling will be available from early 2020. Packed with 770Nm of torque and capable of the 0-100km/h sprint in 4.0 seconds flat, the new power plant will take the GT to a top speed of 318km/h and is expected to feature its own distinctive engine gurgle. Designed, engineered, and handcrafted in Great Britain, the new GTs will ride on exclusive 20-inch 10-spoke painted alloy wheels, and feature quad exhaust pipes, a luxurious interior and the latest technology. The Continental GT V8 and GT V8 convertible also offers multiple dynamic drive modes, a dymanic ride system, air suspension, and are equipped with hollow, lightweight front and rear anti-roll bars. Buyers will also find an active all-wheel drive system, power-assisted electric steering and a wide range of driver assistance aids, including active lane assist, traffic jam assist and park assist. Inside, 20-way adjustable leather seats set new industry standards in comfort and refinement, and are available in a monotone colour split on the GT V8 and GT V8 convertible. Four additional interior options are also available. At the heart of both the GT V8 and GT V8 convertible dashboards are an advanced, fully digital, driver-focused instrument panel and the optional Bentley three sided rotating display, which includes traditional analogue dials and a 12.3-inch touchscreen. Australian availability is not yet known.